The Le Sigh: Premiere: Grayling - "Bidding War"
Premiere: Grayling - "Bidding War"
Check out the first track from Grayling's debut EP and an interview with Lexi Campion. Some music writers and listeners invoke “poppy” as a derogatory descriptor, meant to disparage the work of “serious” musicians. But to Lexi Campion, nothing could be a better compliment. Though the 19-year-old’s new musical project, Grayling, seems like a far cry from Beyoncé, don’t doubt that the influence of Queen Bey, and other women who rule the pop charts, is present. 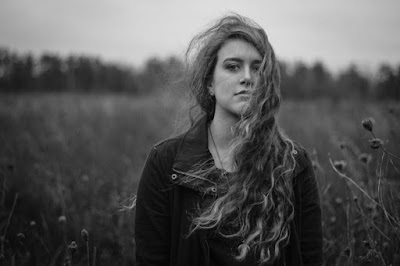 “I wrote everything kind of trying to marry the pop elements of bands like PVRIS or people like Ellie Goulding, Katy Perry with raw recordings like Bully, even grungy, Nirvana-type sounds.” Those disparate elements come together in Grayling’s debut EP, Everything That Burns, due out April 15 from NDE Records. Campion until recently played drums in Edelweiss, but Grayling is her “creative outlet,” and the EP marks her first solo venture (she plays at least some of every instrument on the record, except the keyboard parts). Campion, a sophomore at Drexel University in Philadelphia, didn’t realize how important songwriting was to her life until she got to college, and sharing space with roommates prohibited her from writing as much as she wanted. “I wrote kind of as an outlet throughout high school, and didn’t really think anything of it,” she said. So Campion moved out on her own and got to work, pulling together a collection of guitar-heavy, emo-tinged songs that beg for singing along or raging out in your bedroom. The focus afforded by living on her own - as well as the diverse Philadelphia music scene - both played important roles in making the EP, Campion said, “Being able to hear so much music all the time and so much music different from what I might typically sit and listen to at home - just being exposed to so much definitely plays an influence in what I write,” she said. As far as non-musical inspirations go, Campion looks to mixed martial artist Ronda Rousey (Campion said she was wearing a Rousey shirt during this phone interview). “The level of passion that she has for what she does, I think, is the most inspiring thing in the world, and anybody that can approach what they do with that amount of intensity I think is so admirable,” she said. Listen to Grayling on Soundcloud. Quinn Kelley, a Baltimore-based writer, who has never not finished an open bag of Swedish Fish. She tries really hard on twitter.